While we noted UberEATS and McDonald’s launch delivery at the end of the June, both companies made an official announcement yesterday, offering more details into the operation. The new “McDelivery” service launched with support for 187 restaurants across Canada in three provinces (Quebec, Ontario, Alberta). By the “end of summer”, over 250 total restaurants will be supported, including the addition of Calgary. “With UberEATS, you can get the food you want, where you want it, delivered at Uber speed. 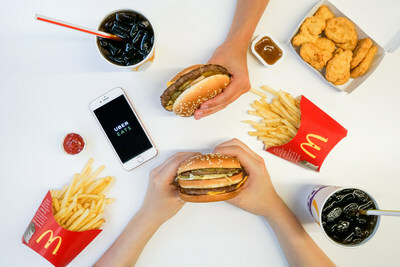 We’re thrilled to welcome McDonald’s to the UberEATS app to give Canadians easy access to their McDonald’s favourites at the tap of a button,” said Ian Black, Regional General Manager of UberEATS. Black added the company was well aware of Canadians frequently searching for McDonald’s in the UberEATS app, so they knew interest was there. Customers will be able to order off the full menu from participating McDonald’s restaurants, except for soft serve cones (for obvious reasons), paying the same price, except for the UberEATS delivery charge. Coupons and any mobile offers or promos are excluded from this service. 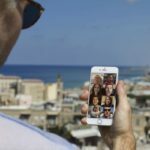 McDonald’s is embracing technology to reach its customers—later this year, it plans to debut a mobile ordering app in Canada. Have you been using the UberEATS iOS app to order your McDonald’s yet?